Jen Juneau is by every stretch of the definition an outdoorsy woman. She grew up an avid skier in the mountains of Colorado, has raced sled dogs, hiked across Spain on the Camino de Santiago Trail with her adult daughters, and has backpacked throughout the Rocky Mountains. In her spare time, she has raised four children and her grandson. And in the mix, she has enfolded 16 foreign exchange students into her active family over the years. These teenage students have been from Germany, Spain, South Korea, Italy, the Czech Republic, Vietnam, Ecuador, Brazil, and France. As part of the family, all of these students have been full participants of the family adventures, including joining them on their camping adventures. Jen, her husband Jeff, and 10-year-old grandson Sawyer are currently hosting two exchange students: Adam from the Czech Republic, and Ruben from Spain. 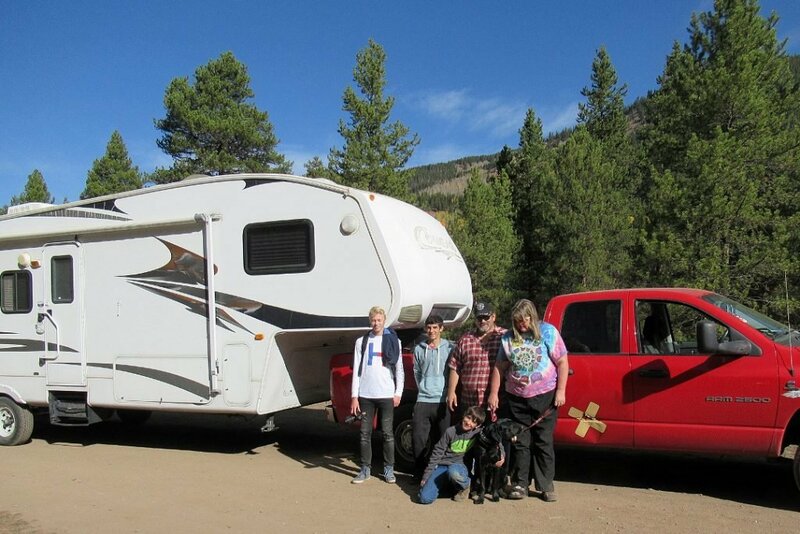 Recently the family has been exploring the mountains between Utah and Colorado in their RV. 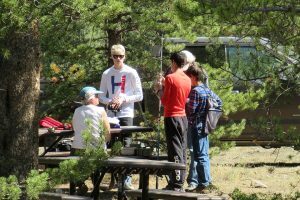 Jen feels that the family camping trips helps expose all three of the boys to the opportunities provided by being outside as a family. Jen tries to encourage the kids to disconnect from phones and internet and connect with family and nature. Sometimes, as is often the case with teens, this proves a challenge, but the benefits of exploring nature, learning about and respecting bugs and trees and animals, and getting dirty are important parts of the life Jen has always encouraged for her family. Most of the students have enjoyed seeing different places they travel through. However, one did not enjoy camping and felt safer sleeping in the cab of the truck—with the doors locked. Jen sees them relax and become more involved with their experiences in the US. The current students living with the family are no different. Ruben, a senior, comes from the northern part of Spain, from a small village in the Pyrenees Mountains. Mountain life is not a new experience for Ruben, but camping and seeing parts of America that he has only read about is exciting for him. Adam, a junior, lives in a city in the Czech Republic and hasn’t been camping much. Adam is very interested in photography and videography and is learning to explore his interests in the natural settings provided by the family travels. Traveling by RV keeps the family connected with one another. Jen does not allow TV in the RV. If it is raining or they are inside for one reason or another, Jen ensures there are ample ways to connect as a family over playing games, puzzles, Legos, books, crafts, or sharing about their lives and customs. For the times the boys need their “alone space”, the RV has a slide-out bunk room with a door, or they can go for a walk in the beauty of being outside. One student found a peaceful place on top of the RV where he could stargaze and take time-lapse photos. The current challenge the family is working through is conditioning their service-dog-in-training, Thunder, to life in an RV. While Thunder does well driving, he has yet to learn all the nature noises at night are not threats so that he can relax and do his work. But, Jen points out, it is a learning curve for everyone to travel by RV. Jen, you should feel fortunate that you found exchange students who would do things with your family. We hosted an exchange student from Finland for only half of the planned time. She would not participate in anything we tried to plan. We tried to get her to go camping. She refused. Cell phones and computers were the most important things to her. We had the exchange agency move her to a different host family. We will never host again.